The Bureau of Labour Statistics paints a very bright future for welding careers in Ontario. Between 2010 and 2020, the industry is expected to see around 15 percent growth, which is higher than the rate of growth for most other occupations. Welding positions are going to be incredibly important to both the provincial and national economy over the course of the next decade. Welders are always going to be in demand in the manufacturing industry of Ontario because of how important they are to the manufacturing process. Most of the basic welding skills are the same across all industries, so welders are able to shift from one industry to the next – meaning that there is always a constant supply of work. 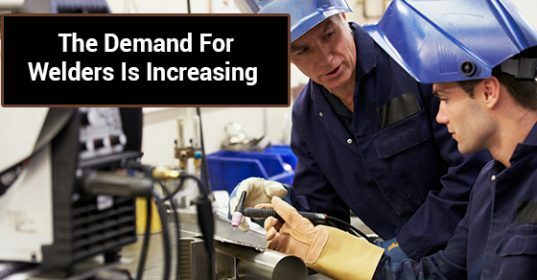 The demand for welders will continue to increase in Ontario because of a crucial demographic factor: the average age of welders in the province is 59 years old. That means there is going to be a serious shortage of skilled welders in Ontario over the next decade when the current generation of welders in the province begins to retire en masse. This information is impacting the Canadian educational system, with welding and welding apprenticeship programs being offered and encouraged throughout the country to ensure that there is a labour force ready to fill the gap. From high school to postsecondary students, Ontario (and all of Canada for that matter) needs welders that are trained and skilled to take over this industry in the next few years. With pay that is much higher than the average entry level university job, and a steady supply of work, many people are turning to welding for the income and job security – and the chance to start a career doing something they love. There are going to be thousands of welding jobs available in the future from coast to coast – and the skills shortage is already being felt. If you are looking to the future and considering your career prospects, welding might be able to offer you everything you are looking for. Whether you are a high school student, currently in university, or looking to change your current career trajectory, consider the above information about the increasing demand for welders in the province of Ontario and across Canada.